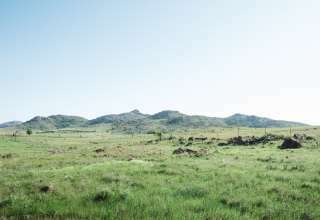 Buffalo Dream Ranch is 400 acres in 5 diverse parcels in the beautiful Wichita Mountains region of Southwest Oklahoma. We named the ranch while contemplating buffalo wallows left over from when this land was still entirely wild. Specifically, what buffalo chewing their cud while in the wallows might have been thinking or dreaming as they looked out over the then vast wilderness. In our modern age we are still quite far off the beaten path, however, allowing dreamy contemplation. 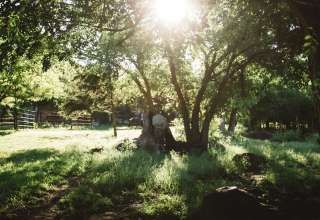 Ours is a recreation and cattle ranch. For land health we have Belted Galloway cattle, a gentle and strikingly beautiful beef cattle breed of Scottish origin. We also support a wide array of recreational activities. Chris & Claire hasn't saved any listings yet. Chris & Claire hasn't gone on any trips yet.